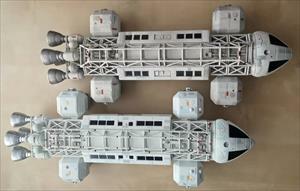 The Round 2 Display Model alongside the original 22 inch Eagle studio model. The Round 2 model is based on the first 44 inch Eagle, not this 22 inch version, and shows some of the finer detailing of the larger model. 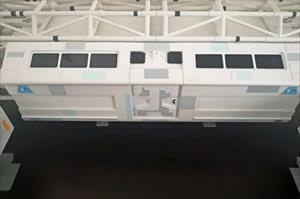 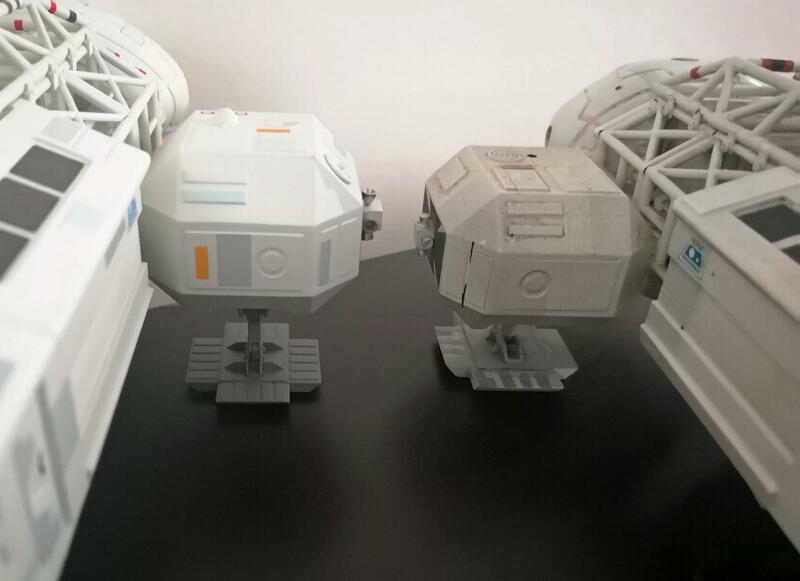 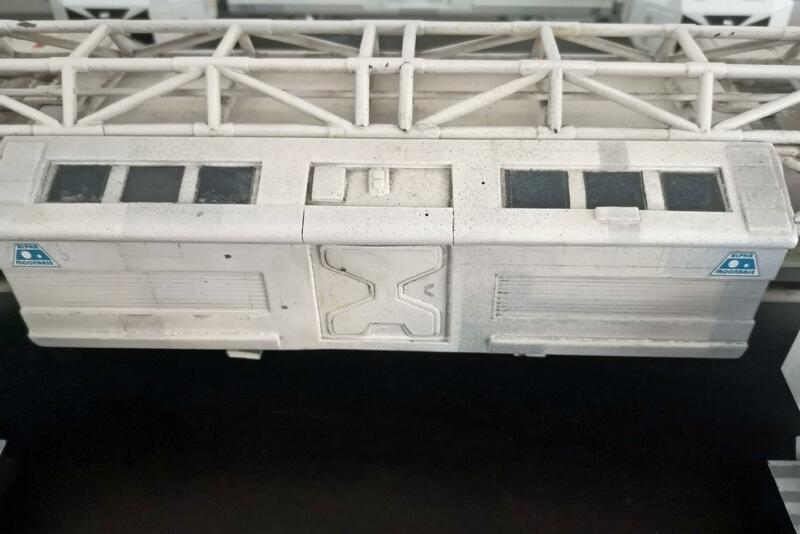 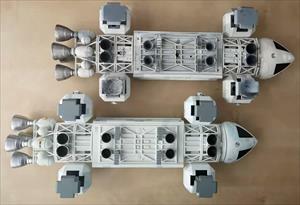 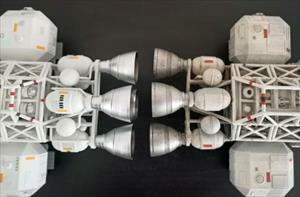 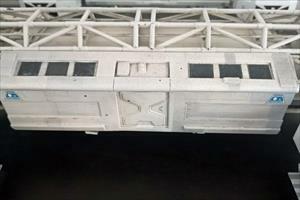 There are no mounting holes on the bottom of the Round 2 model, which were needed for the filming model. 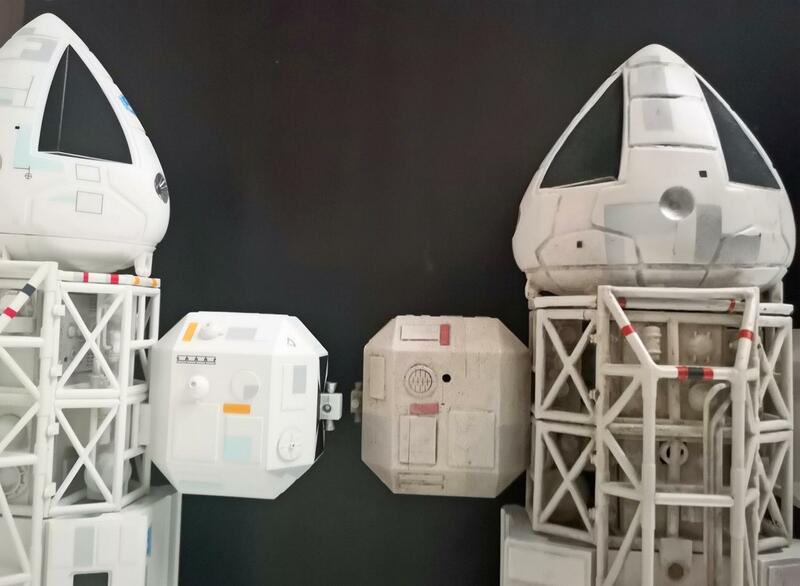 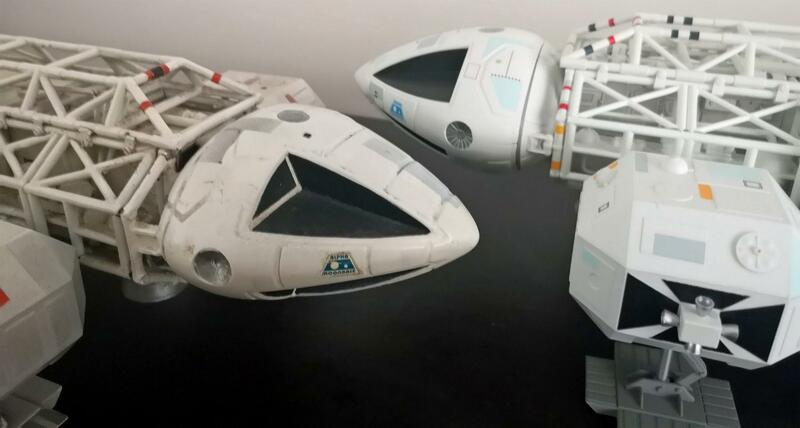 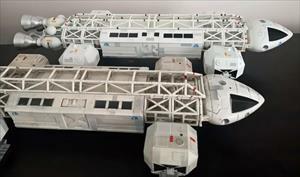 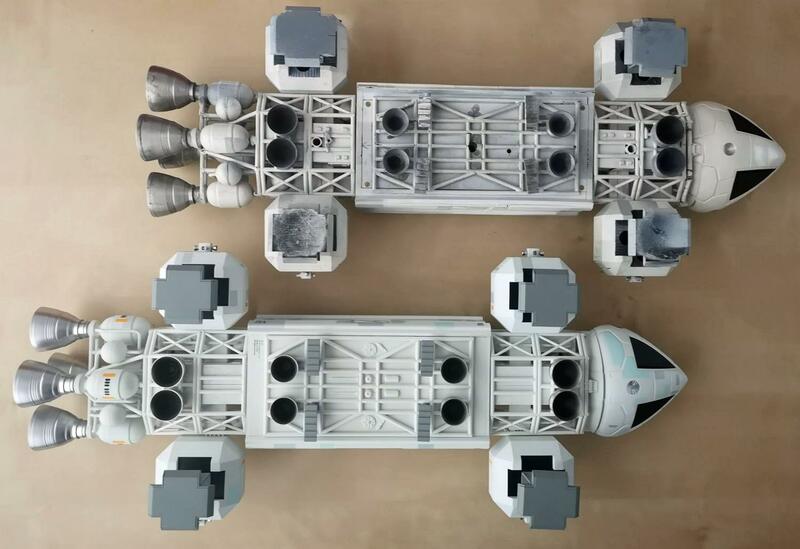 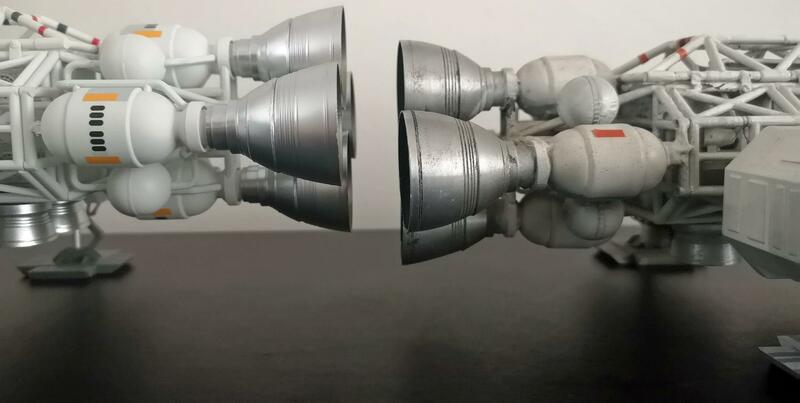 The Round 2 model is obviously cleaner and whiter than the original, although the original was used in three years of filming and is now 45 years old. 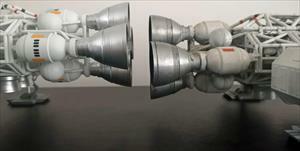 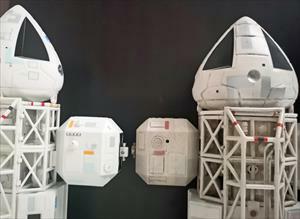 The Round 2 model stands much taller than the studio model, with taller legs. 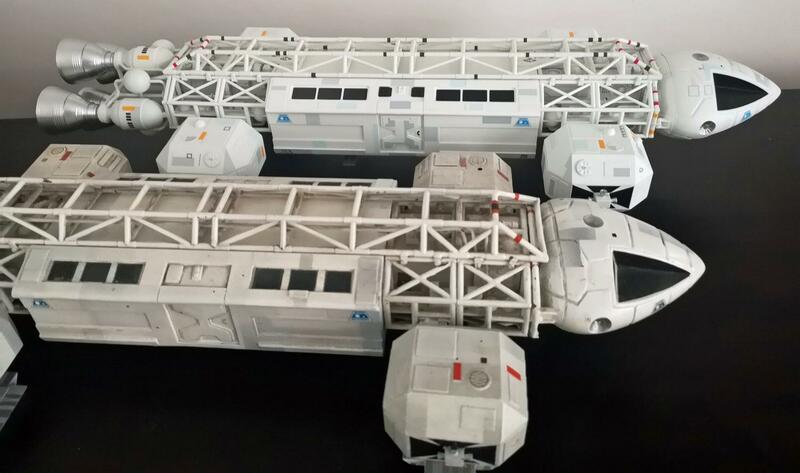 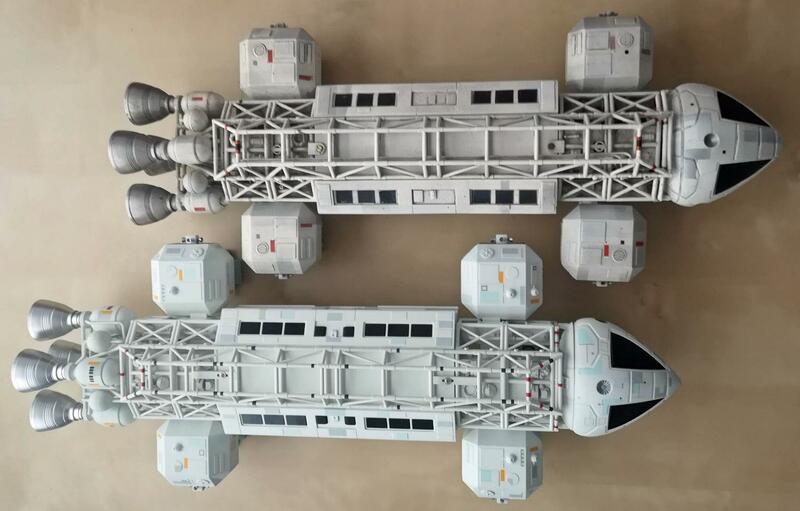 The 44 inch studio model, and the Product Enterprise 23 inch Eagle, have sprung legs that sink under the weight of the model. 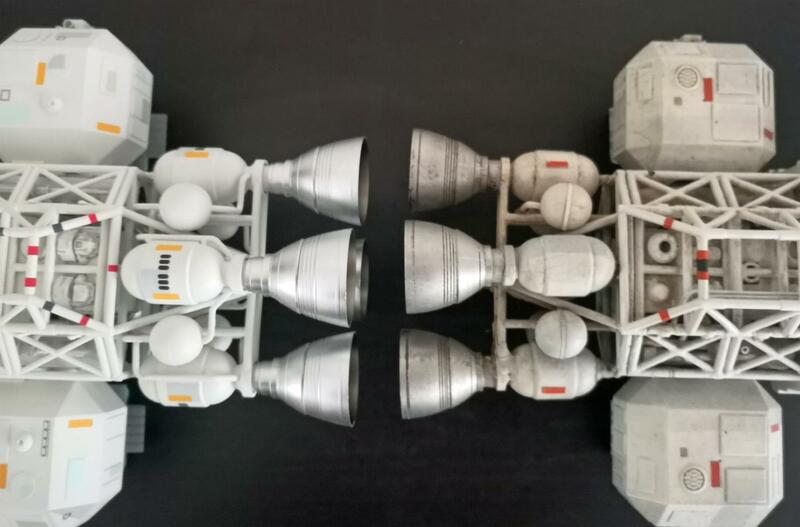 The Round 2 and studio 22 inch Eagles have fixed legs, the Round 2 in "flight" position, the studio model in launch pad position.